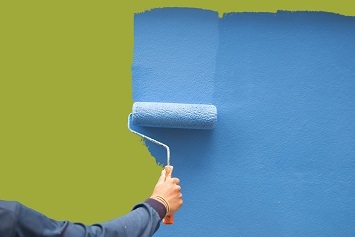 The environmental enforcement actions in our first July roundup include one against a renovation business featured on the television program Fixer Upper. Also included this time around are waste and water violations. Read on to see the reported violations and the penalties incurred. RCRA violations: In May 2016, an EPA inspection revealed that Decostar, a manufacturing division of an automotive parts supplier, was in violation of Resource Conservation and Recovery Act (RCRA) Organic Air Emission regulations. The company failed to conduct inspections; failed to maintain and operate the facility to prevent a release; failed to provide required training; and failed to establish and maintain emergency preparedness and prevention procedures. In addition, Decostar failed to properly and/or adequately determine the level of air emissions controls; failed to design and install the fixed roof and/or closure device; failed to properly monitor hazardous waste for leaks; failed to make repairs within 5 days; and failed to maintain records on tank defects and repairs made. Penalty: $377,900 fine. In addition, the company will spend approximately $2.7 million on a supplemental environmental project (SEP) to replace existing robots and paint applicators with devices that increase transfer efficiency. TSCA, RRP Rule violations: The EPA alleged that Magnolia, the renovation business owned by Chip and Joanna Gaines of the television program Fixer Upper, was in violation of the Toxic Substances Control Act (TSCA) Lead Renovation, Repair, and Painting Rule (RRP Rule). After reviewing video footage of Magnolia’s renovations of 33 properties appearing in several seasons of the show, the EPA concluded that the renovations depicted were conducted without adequate lead paint protections. Magnolia failed to obtain firm certification from the EPA before performing lead renovations; failed to assign a certified renovator to lead renovations; failed to provide homeowners or occupants with an approved pamphlet about lead-based paint hazards before renovations; and failed to post signs to clearly define the work area and warn people to remain outside the area. In addition, Magnolia failed to comply with the RRP Rule’s work practice standards, such as closing doors and windows to the interior work areas; covering floor surfaces, ducts, and other openings to work areas with plastic sheeting; and covering the ground with plastic sheeting to capture falling paint chips from exterior renovations. Penalty: $40,000 fine. In addition, Magnolia will spend $160,000 to abate the lead-based paint income homes or child-occupied facilities in the Waco, Texas, area. Magnolia released a televised message concerning testing an old home for lead-based paint and depicted some of the precautions required by EPA’s RRP Rule during an episode that aired on March 21, 2018. The company plans to release a video about renovating homes that contain lead-based paint to social media and to Magnolia’s website. EPCRA violations: An EPA inspection conducted in November 2015 at Sensient, a company that manufactures dye and pigments for foods, beverages, cosmetics, and specialty inks and colors, revealed reporting violations of the Emergency Planning and Community Right-to-Know Act (EPCRA) regulations. The company manufactured certain chemicals in excess of their threshold quantiles and failed to file the Toxic Release Inventory (TRI) reporting Form R and Form A for the chemicals for the 2012, 2013, and 2014 reporting years. Penalty: $24,255 fine. In addition, the company will purchase the former Homer A. Doerr & Sons Plating Company site, remove any contaminated soil, perform asbestos abatement in the existing building, and perform additional landscaping on the property to enhance its green space. Sensient’s St. Louis facility is located adjacent to the Doerr site. CWA violations: Herzog Wine Cellars, also known as Royal Wine Corporation, which produces kosher wine at its Ventura County facility, was found in violation of Clean Water Act (CWA) regulations. In 2015, an EPA inspection revealed that wastewater from the company’s cleaning and sterilizing operations exceeded the limits for total suspended solids. In addition, the company discharged acidic wastewater to the city of Oxnard’s sanitary sewer, which eventually leads to the Pacific Ocean.